Darwish was six in 1948 when his family fled their village in western Galilee. When they returned a year later they found the village destroyed and their land occupied. 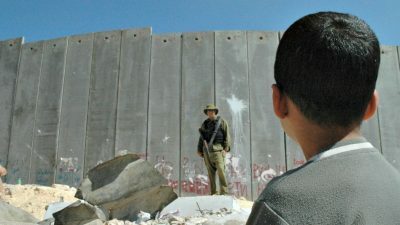 Since they had missed the census they were denied Israeli citizenship and declared ‘present-absentees’, an ambiguous status that Darwish was to transform into a metaphor for Palestine and much more. 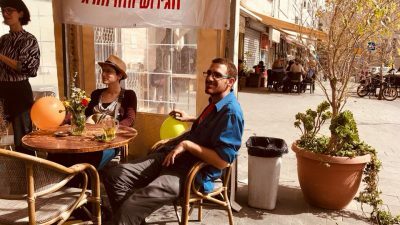 He was 22 when he read his poem ‘Identity Card’, with its defiant refrain ‘Record: I am an Arab’, to a cheering crowd in a Nazareth movie house. Repudiating Golda Meir’s assertion that ‘there are no Palestinians’, his poems played a key role in the Palestinian movement that emerged after 1967, fashioning a modern Palestinian identity using traditional poetic forms in a renewed, accessible Arabic. Repeatedly arrested and imprisoned, Darwish left Israel in 1970 and remained in exile for more than a quarter of a century. His political journey led from the Israeli Communist Party to the PLO, which he joined in 1973 (penning Arafat’s famous ‘Don’t let the olive branch fall from my hand’ speech to the UN). He settled in Beirut, from which he was expelled along with the PLO following the Israeli invasion of 1982, the subject of his inventive and harrowing prose memoir, Memory for Forgetfulness. Did we have to fall from a tremendous height so as to see our blood on our hands … to realise that we are no angels … as we thought? Did we also have to expose our flaws before the world so that our truth would no longer stay virgin? How much we lied when we said: we are the exception! When Darwish died in 2008, thousands joined the cortege and there were candle-lit vigils in towns across the West Bank and Gaza. The Palestinian Authority declared three days or mourning and issued a series of postage stamps in his honour. 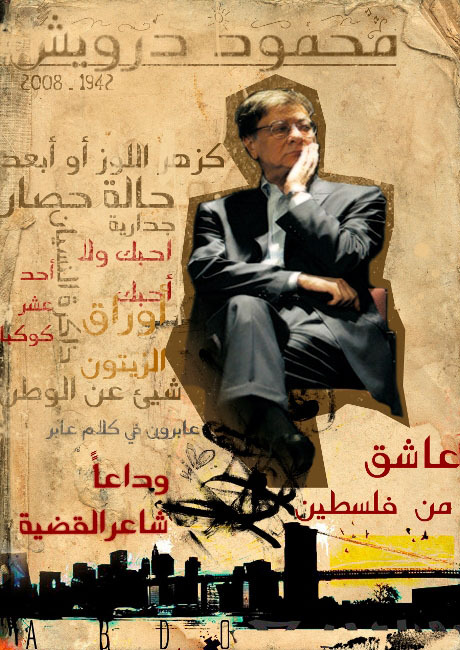 Being the Palestinian national poet was a heavy burden, one that Darwish bore from an early age, and though he chafed under it he never shirked the load. Instead, he succeeded in transforming the Palestinian experience into a universal one. The themes of loss, exile, the search for justice, the dream of a homeland, the conundrum of identity: all became, as his work evolved, human and existential explorations, without ceasing for a moment to be rooted deeply in the vicissitudes of Palestinian life. For decades he mourned Palestine’s losses, denounced its tormentors, celebrated its perseverance, and imagined its future. Even in translation, where we miss so much, Darwish’s voice rings clear. In his mature style there’s a seductive fluidity: he moves lightly from realm to realm, pronoun to pronoun (‘I’ to ‘we’, ‘I’ to ‘you’, ‘us’ to ‘them’), from the intimate to the epic, past to future, abstract to concrete. Metaphors topple over each other, abundant and inter-laced. This is poetry that fuses the political and the personal at the deepest level. Throughout, his evocation of loss and exile, of coming from ‘a country with no passport stamps’, is poignant, elegiac but open-ended, conjuring resolution from despair: ‘We travel like everyone else, but we return to nothing’; ‘There is yet another road in the road, another chance for migration’; ‘Where should we go after the last border? Where should birds fly after the last sky?’; ‘In my language there is seasickness. / In my language a mysterious departure from Tyre’. Guests on the sea. Our visit is short. when we leave? Where are we to go back to when we return? … What is left us that we may set off once again? Shout so that you hear yourself, shout so that you know that you are still alive, and you know life is possible on this earth.